 Regency Homes is excited to announce that we will be building in a brand new development in Blaine, Minnesota. Wagamon Ranch is a 92-acre development located along Harpers Street, north of 129th Lane. This exciting new up scale development will have 105 new single-family homes. Phase 1 will feature 31 beautiful lots. Wagamon Ranch has extra large sized lots as well as a club house and pool. The entrance features an exciting monument with waterfall and horses. Wagamon Ranch is only minutes away from Bunker Hills Regional Park and many golf courses. Enjoy the comfort of nature, while still having easy access.